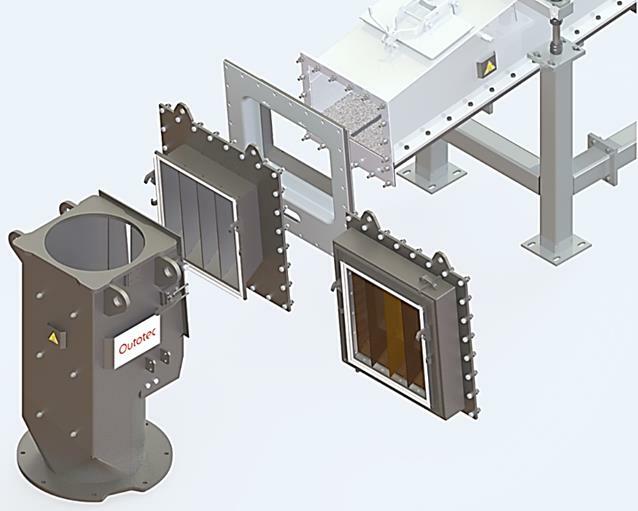 Outotec® FeedGuard, based on the electrical capacitance tomography (ECT) is capable of detecting even the smallest variations in the feed mixture. The FeedGuard sensor specially developed for the Flash Smelting or Flash Converting Process and is integrated to the concentrate or matte burner feed inlet port and provides the measurement results to the control room online. The Outotec® FeedGuard provides means for easy and quick detection of uneven feed or feed blockages. It has low maintenance requirements (non-intrusive sensors) and it is based on a very accurate and reliable ECT measurement. An online measurement of feed distribution and ensuring that it is even and without blockages improves the oxygen efficiency of the process, decreases weak acid production and reduces the slag losses of Cu or Ni. The total mass flow of FeedGuard is very close to the total mass flow of the individual feeds, normally within 1 % error calculated over a fill cycle of the loss-in-weight feeder. Figure 1: FeedGuard having a rectangular section where the powder mass flow is measured based on ECT technology. “Our aim was to increase the productivity of the concentrate burner and to provide an accurate mass flow measurement. 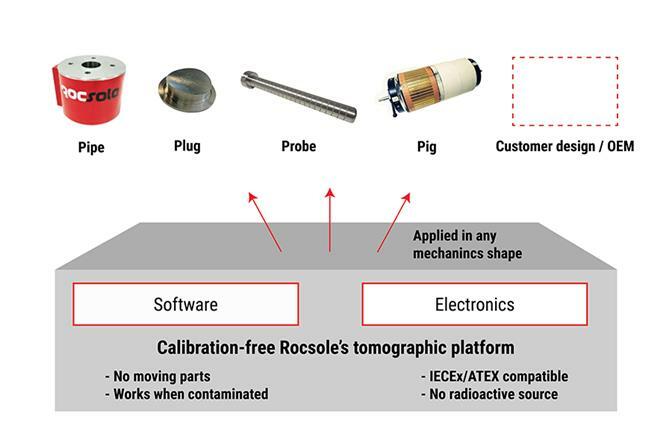 As a base for our product we have been applying Rocsole’s tomographic platform to do the mass flow measurement. A measurement accuracy of 1% has been observed during the pilot project. This FeedGuard solution brings clear benefits to our customers like spotting disturbances and blockages during feeding. In addition to that a non-uniform feed is detected and can be corrected fast.” - says Peter Björklund, FeedGuard Technology Manager, Outotec (Finland) Oy. “We are glad Outotec has been innovative and applying Rocsole’s Tomographic Platform. Tomographic Platform is a cost-effective way to produce new applications. Rocsole is very happy about the success of the product and collaboration with Outotec, and is glad to continue helping Outotec with future applications.” – says Pasi Laakkonen, CEO of Rocsole. Figure 2: Rocsole Tomographic Platform allows to do easily new tomographic applications based on customer wishes.